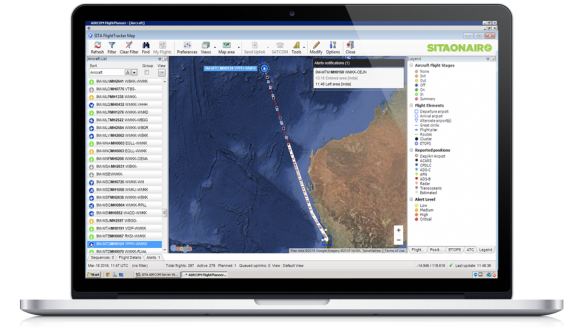 October 9, 2017–Avianca Brasil (OceanAir) is “proud” to have activated industry best-practice flight-tracking with SITAONAIR, as the airline prepares to expand its operations. 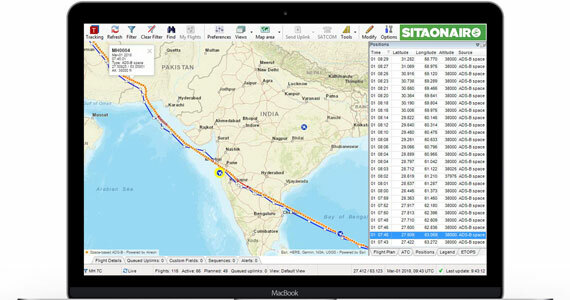 SITAONAIR’s AIRCOM® FlightTracker is now airline-operational on the domestic carrier’s current fleet of 49 A320 and four A330 aircraft. This puts Avianca Brazil well ahead of the International Civil Aviation Organization’s (ICAO) 2018 safety mandate, compelling operators to state their aircraft flight positions at least once every 15 minutes. The airline has also deployed SITAONAIR’s AIRCOM® FlightMessenger on its fleet, helping improve efficiency by translating operational data into a format that seamlessly integrates into the airline’s IT infrastructure. Frederico Pedreira, Chief Executive Officer of Avianca Brasil, said: “Deploying this industry benchmark flight-tracker has been a priority for us, and we are very happy with the results. Having the proper technology from SITAONAIR to track our fleet, comply with the ICAO’s recommendation, and further our commitment to passenger safety, is an achievement we are proud of. 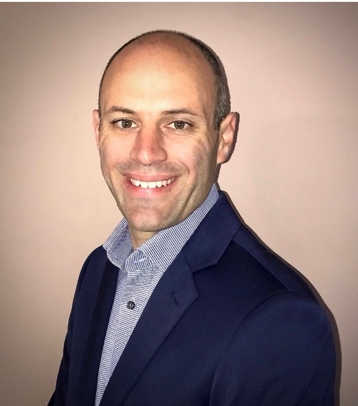 Carlos Vianna, SITAONAIR’s Head of Business Development, Latin America, said: “Avianca Brasil joins a select group of airlines in South America today to have activated flight-tracking technologies, reinforcing their passenger safety commitments. Discover SITAONAIR’s FlightTracker online at www.sitaonair.aero, speak to your local SITAONAIR contact, or submit an enquiry form online. United Kingdom and China | September 14, 2016: Inmarsat, the world’s leading provider of global mobile satellite communications services, has signed an agreement with Beijing Marine Communication & Navigation Company (MCN) and Aviation Data Communication Corporation (ADCC) to provide aviation safety services to Air Navigation Service Providers (ANSPs) and Operators. The Memorandum of Understanding (MoU) was unveiled at ATC Global 2016, which is taking place in Beijing this week, and outlines MCN/ADCC’s intention to offer cockpit communication services, including Inmarsat’s Classic Aero and next generation SwiftBroadband-Safety services, in the People’s Republic of China (PRC). Classic Aero is a high-quality voice and data safety service currently used by most of the world’s airlines. It offers reliable and secure satellite surveillance and communications (FANS/ACARS) that meet International Civil Aviation Organization (ICAO) global flight tracking requirements. SwiftBroadband-Safety utilises secure IP-based broadband capabilities that far exceed those of other connectivity alternatives. It offers global, high speed, connectivity for cockpit and aircraft operations, with airlines benefitting from greater efficiency, reliability and capacity at a lower cost. The solution is always on and always secure, delivering next-generation applications, including flight data streaming (‘Black Box in the Cloud’) and real-time Electronic Flight Bag applications such as graphical weather. Inmarsat’s partnership with MCN and ADCC is expected to be finalised later this year and fits with the announcement made earlier this year of plans for a MCN and Inmarsat joint venture to provide comprehensive aircraft cabin and connectivity solutions across the PRC. Otto Gergye, Inmarsat Aviation’s Vice President of Airline Market Development, said: “Inmarsat is a trusted provider of aviation safety and operational services. More than 95% of the world’s oceanic aircraft currently use our services for communication, navigation and surveillance and we are set to achieve an important paradigm shift in cockpit communications with our advanced and highly-secure new SwiftBroadband-Safety service. Lake Forest, CA | June 9, 2016– Panasonic Avionics today announced that it is offering worldwide satellite tracking to all Global Communications Services and FlightLink™ customers. Today, the company’s Global Communications Services and FlightLink solutions, when combined with Panasonic’s AirMap application, immediately satisfy ICAO’s Global Aeronautical Distress and Safety System definitions for both normal and abnormal tracking. To support these satellite-based solutions, Panasonic has deployed extensive ground and aircraft based communications solutions that enable tracking of aircraft in a variety of configurable and tailored update rates that support airline operations and exceed the minimum requirements of the current ICAO guidance. 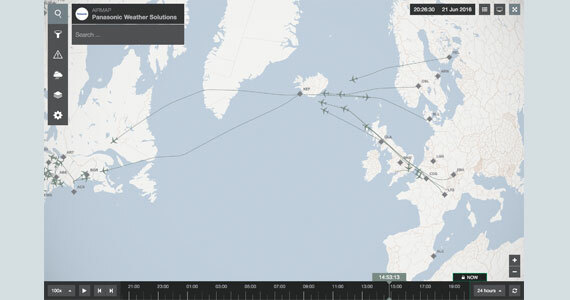 The AirMap application is the airline portal into these operations and provides them a graphical way to monitor, track and receive alerts on their aircraft. Unlike many proposed technologies, Panasonic’s flight tracking is based the company’s Ku-band eXConnect broadband and Iridium satellite communications solutions. This allows airlines to integrate cockpit and crew communications with their flight tracking capabilities. This gives them the opportunity to use voice or text messaging to contact an aircraft based on the situational awareness they receive from Panasonic’s tracking solutions. Canberra, Australia | March 2, 2015– Inmarsat, the leading provider of global mobile satellite communications and safety services, today announced that it is partnering with Airservices Australia and other key aviation industry stakeholders to trial improved flight tracking services on commercial airline flights to and from Australia. Dublin | October 9, 2014– The International Registry of Mobile Assets (International Registry) has achieved a major milestone with the announcement that more than half a million registrations have now been filed. The International Registry provides for the registration and protection of financial interests in aircraft objects, such as airframes, engines and helicopters and was created with the view to reducing financing costs. The Aviation Working Group estimates it will save the global air transport industry USD 161 Billion USD between 2009 and 2030. The establishment of the International Registry is provided for under an international treaty regime – the Cape Town Convention and Protocol of 2001. This was adopted under the joint auspices of the International Civil Aviation Organization (ICAO) and the International Institute for the Unification of Private Law (Unidroit). The International Registry is supervised by ICAO and operated by Aviareto, a joint venture between SITA and the Irish Government. It is used to establish legal priority in the case of disputes over interests in aircraft objects. Currently, fifty-five States across the world have ratified both the Convention and the Aircraft Protocol. Orlando, FL | February 19, 2014– Orlando International Airport is the first to offer international travelers from visa waiver countries the option to ‘land, touch and go’, using SITA’s Automated Passport Control (APC) kiosks to self-process for faster US border clearance. The Greater Orlando Aviation Authority (GOAA) announced today that arriving passengers from 37 visa waiver countries can now enjoy quick and easy processing at US customs and immigration. The iBorders™ solution implemented by SITA in partnership with Vision-Box® automatically verifies and validates the passenger’s travel documents, checks flight information, captures an ICAO-compliant face image and up to 10 fingerprints, as well as obtaining the customs declaration data required by the U.S. Customs and Border Protection Agency (CBP). This full process can be completed in 90 seconds or less. At the end of the self-service process, travelers receive a receipt to be presented to the CBP officer for the final clearance, at a fast-track dedicated lane. A paper outlining the efficiencies that Phase III APC Kiosks can deliver is available here.